One thing that unites us all as gamers is that we hate everyone who disagrees with us and we really care about our consoles. Particularly for those of us living out our lives as young adults, also known as “the mid game,” taking immaculate care of our games and hardware is of the utmost importance. Lots of us have kids, and kids break things, so protecting our investments is paramount. Gaming being the much-needed escape that it is, we like keeping our gaming stuff in one piece. A lot of us take our portable consoles out of the house on most days. Where does it end up? If you’re a guy like myself, you probably toss your system of choice into a backpack. If you’re a lady, I have absolutely no idea, because there is no Wikipedia entry that addresses this. Now, everyone seems to have a cracked smartphone screen, and those devices generally cost over $500 each, yet a crack on the screen of a $150-300 gaming console, or even a mere scratch on the paint, is enough to make me spend the whole weekend searching for time travel services on the Darknet to reverse the tragedy that has befallen me. Hell, I remember dropping my Hyrule Edition New 3DS XL exactly one time – the day after I bought it. I still notice the tiny scratch, and it drives me nuts. My point is, we care about our hardware. Especially since the release of the Switch, people are carrying their consoles around more than ever. And when it comes to the Switch… well let’s just say that I don’t think a more breakable handheld has ever been made. With portable consoles becoming my game consoles of choice over the past two or three years, I’ve invested a bit into some protective cases. I did some research and found the typical $10-12 cases on Amazon from China, but I wanted something that looked much nicer. After all, I’m a working man and this is a passion of mine – I’m a firm believer in the principle of buying an expensive thing once rather than many cheap things. I also am really good at justifying spending money on myself. 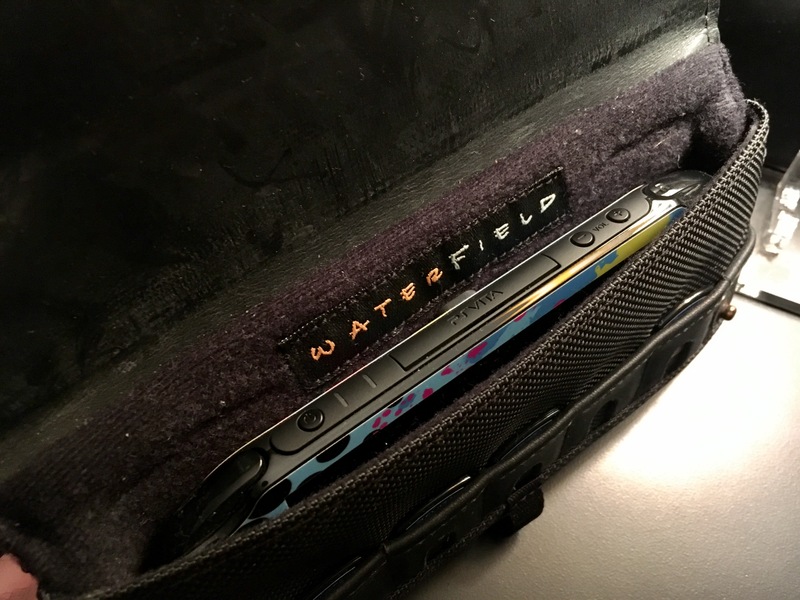 I found these handmade cases and sleeves on the PSVita Subreddit, made by a company called WaterField Designs based out of California. They seem like a pretty small company yet they put out these incredible cases, and my curiosity was immediately piqued. 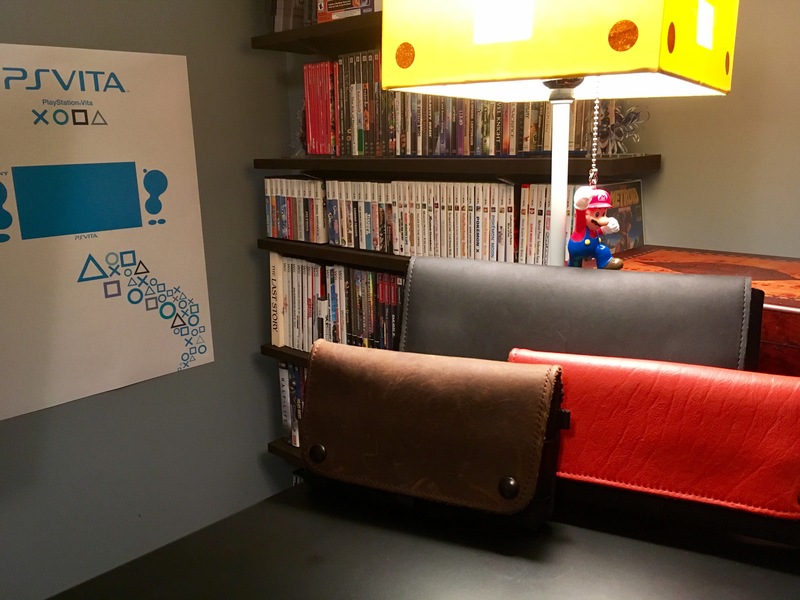 I was looking for something nicer to carry around my 3DS XL, and I settled on trying one of these out. Fast forward a year or two, and I now own three of them – the one for my 3DS, one for my Vita, and more recently, one for my Switch. Let me tell you – I love these things. I can go on, but the pictures speak for themselves. Really, these things are gorgeous and feel amazing to hold. The Switch case has extra padding near the screen, yet has breathing room for the Joycon analog sticks. 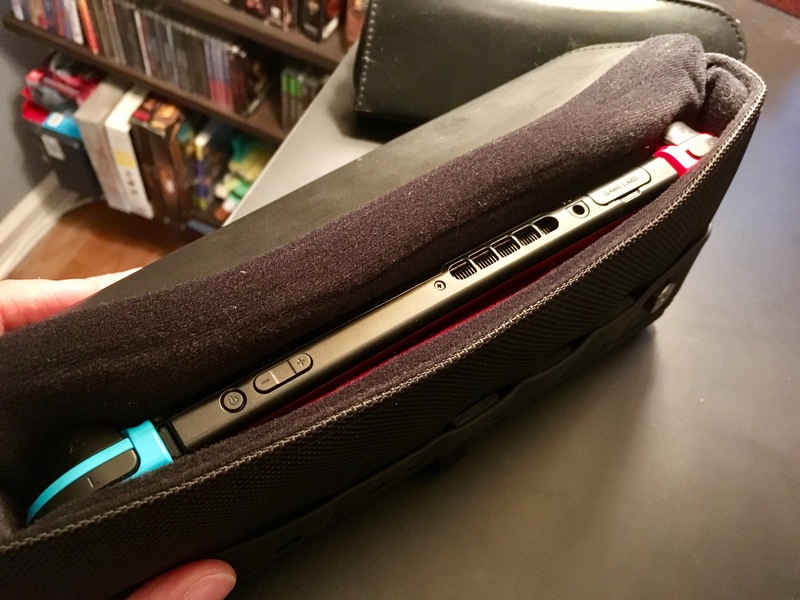 The 3DS XL is a nice, tight fit. The material inside is ultra smooth and very durable. Here’s Mr. Vita hanging out inside the case. 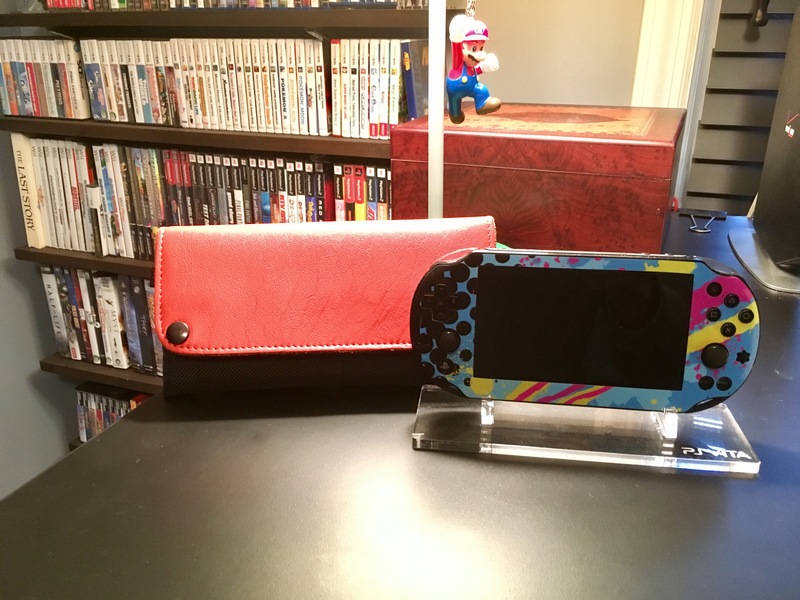 A shot of my Vita, hanging out next to its case. Each case is lined with the softest material ever created by human beings, keeping your console scratch free, as well as game cartridge slots that are just snug enough to allow you to slide a game into it, while preventing any from falling out, even if you hold the case upside down and shake it violently. Trust me, I tried. 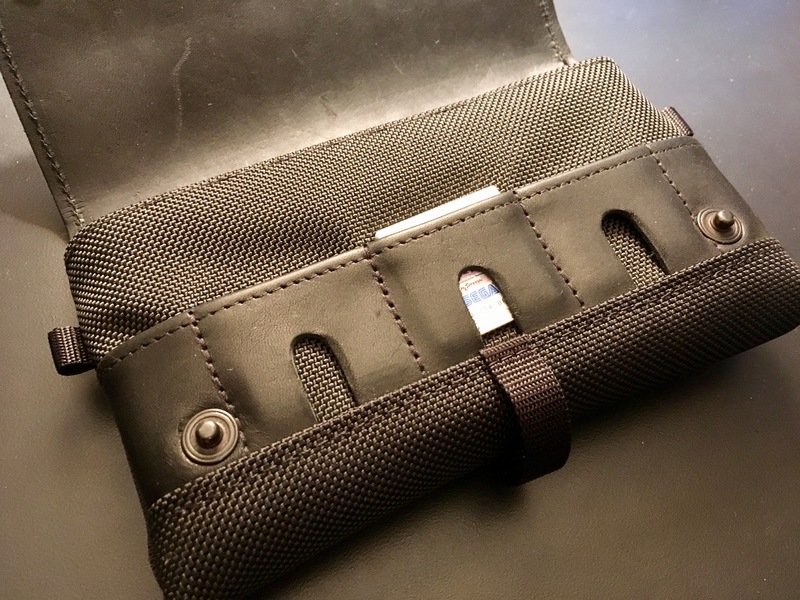 There’s also a durable zipper and pouch on the other side for extra game carts and a charging cable, of which for some reason I forgot to take a photo. You’ll notice the little hook woven into the bottom as well – this is to slide your finger into as you pull out the console. Trust me, it seems silly but it helps you get a grip so you don’t accidentally launch your game box across the room. And yes, I’ve done that. The mechanism at which the case closes is a high-stretch snap, at least on my Vita and 3DS cases. On the Switch case, however, they went a different route with a magnet/snap combo which sounds simply magnificent when you close it. Just have a listen! WaterField Designs doesn’t mess around folks. Everything from these little touches to the personal touches makes this worth it, in my opinion. With every order has come a nice hand-written note from the CEO, and let me just say that those types of things are appreciated. They also follow-up via email, which again, is appreciated. In these days of everything being automated and computer generated, personal touches mean a lot to me. Well, they certainly aren’t cheap, but for something made in the United States out of real leather and ballistic nylon, it’s a solid price. The Switch case I have cost $79, but they have some more options too. 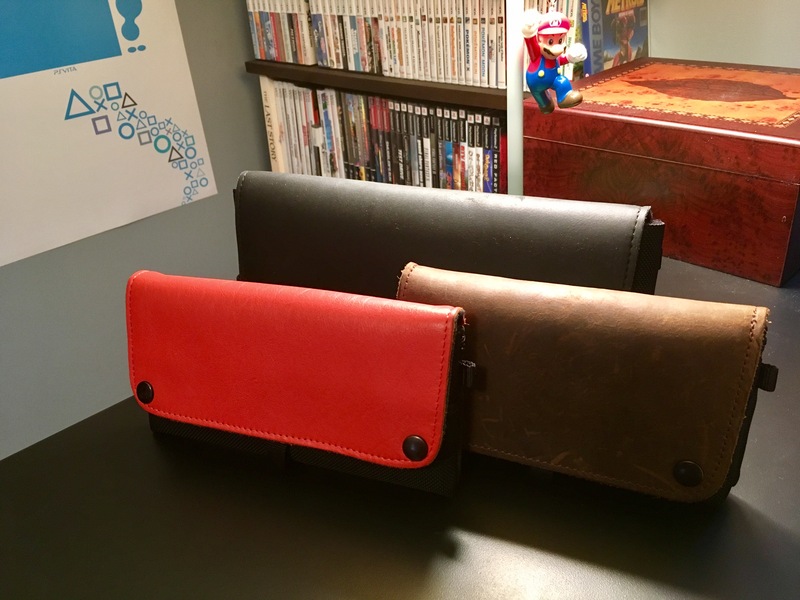 They make cases for all kinds of stuff, and the Switch has a total of three cases as of this writing. 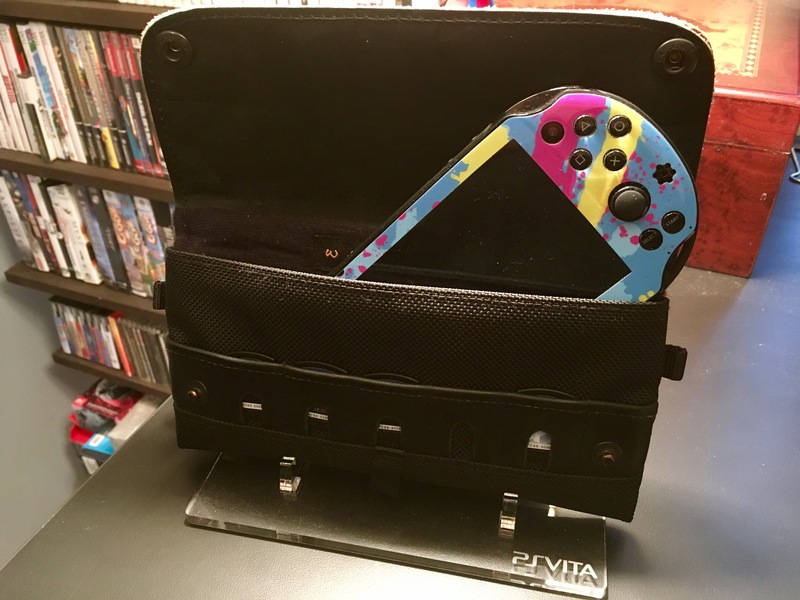 The 3DS XL and Vita cases are a fair bit cheaper at $59, and worth every penny if you want to keep your consoles bouncing around and not suffering even a minor scratch. Sure, the cost of admission may seem like a lot when you glance over the prices, but the quality is unmatched by any other company currently offering luxury cases like these. I’m the kind of guy who spends money on acrylic stands for my consoles, so I imagine there’s some overlap between myself and people who spend more on things like console cases. On the other hand, I look at it like spending more for the car with better airbags – I tend to bounce around in motor vehicles and in life, and so the more protection, the better. I would not trust any of my game consoles to fare well after a 5 foot drop with my older $9 cases. WaterField though? Heck, I’d throw it off a roof and it’d probably be fine. Huge thanks to the WaterField Designs folks for the great products and customer service. Go check em out and treat yo self! Also – these things make great gifts. I came across these when I got my Switch and was researching on cases. Sadly I didn’t make the plunge as it was too much money at the time after just buying the Switch along with a few games. I did settle on a $20 case from Amazon that came out pretty good. It’s not fancy looking, but better than most of the cheapo cases I saw. 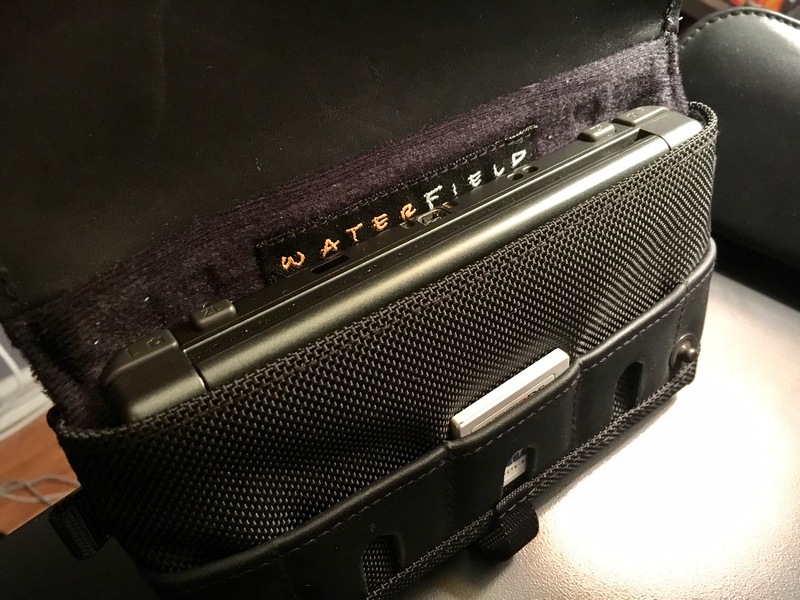 These waterfield cases do still intrigue me. Maybe one day. Part of me was also looking for a case that I could squeeze some cables to at least charge the device with, and I don’t think the pictures convinced me it could What are you thoughts on that? Are you able to bring along any cables and charger in this? They are definitely pricey, and after buying a new console that’s more than understandable! I had a $12 one off Amazon before I pulled the trigger on the Switch one. The other one did a fine job but I wanted something that looked and felt nicer. You can definitely hold a charging cable in here, as the back zipper has lots of space, but a spare charger definitely won’t fit, assuming you mean one of those bulky battery backup ones. At least the battery I have is an Anker 20,000maH and it’s a BEAST. The case is definitely meant strictly for the console and games. If you wanting more of an all-purpose carrying case, I believe they have a bigger case that can fit battery backups, pro controls, the works. Of course it’s a lot more money, $150 if I remember correctly, but it’s a monster and has room for everything. Good to know. Yea I was referring more to the outlet plug that goes into the wall instead of one of those big old battery packs. Hah, ahh I see what you mean. Probably not too much room for one of those in this case either, then! That’s a nice looking Vita 🙂 Is that a custom skin? These are awesomely designed cases! I may just consider buying one for my Vita. I have one currently, and it’s so bulky looking and not the most aesthetically pleasing. Thanks for sharing this! 😀 I’m always looking for well designed game-related things! They really look great – my recommendation, if you decide to go with one for the Vita. The orange is much softer than the regular straight leather and wears in nicely. I like the cushy feel of the Vita one a little more than the 3DS, although both have worn in very well in ~2 years. The quality is excellent, I wonder if they’re producing less due to the Vita simply not being as popular? Anyway, it’s a great case 🙂 I also use it for my PSP. Probably, that would make sense. The Vita seems to be dying, but I don’t want it to! I have a case for my switch, but it’s the cheap Gamestop brand that I got when I got my Switch. This actually looks pretty awesome though. Why are you making me spend money?